The Wits Muslim Students’ Association (MSA) is assisting disadvantaged students by collecting clothing that will keep them warm in winter. The society has created its first ever winter clothing drive, which was launched on Wednesday, April 11. Zaynub Cader, head of MSA student affairs, said that she was approached by a few students who spoke to her about not having proper clothing. “We would like to help such students cover up this winter as well has having decent clothing because we know we are capable of helping them,” she said. Cader said that this was the first campaign of its kind but that the MSA has always supported other initiatives like this. Third-year BA student, Thembisile Modise, said that she wanted to donate clothes to those who couldn’t afford the clothing that she could. Clothing from the campaign will be given to students who come forward needing clothing. If students are aware that students need clothing, they can submit their names to the organisation. The Wits Citizenship and Community Outreach (WCCO) also holds a clothing drive throughout the year. Administrator at WCCO, Lizette Norris, said that their clothing drive is always a success. “There is always clothes in the clothing bank from donations that are brought throughout the year,” she added. The MSA have called on the Wits community to donate clothes. 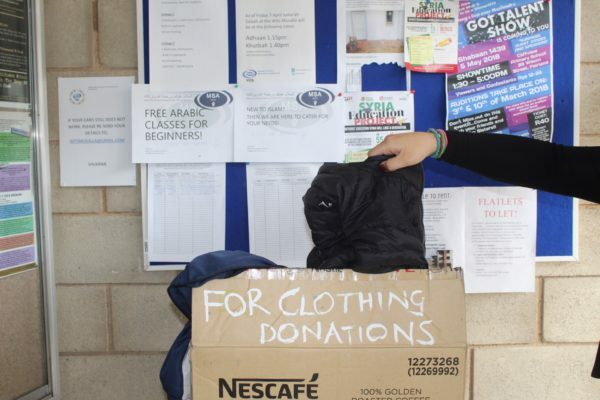 Clothing can be placed in the designated donation boxes placed at the Muslim prayer centre on East campus.